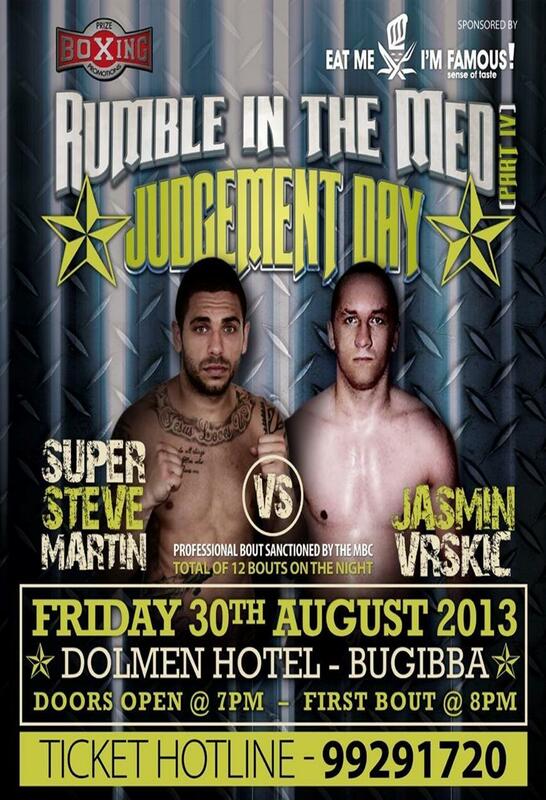 Prize Boxing Promotions will hold their third show of 2013. It shall be held at the Dolman Oracle Arena on the 30th August 2013. This show has 12 contests, 3 of which are professional. What a fight card. All semi-pros will be competing for National rankings, while female Swedish fighter Mickela Mayers is in battle for a winner takes all fight. Again, Semi Pro bouts are sanctioned by our friends the Independent Boxing Association IBA based in the UK, while the Malta Boxing Commission will be providing the ringside officials and sanctioning of the pro fights. Unless stated all opponents are to be announced shortly. Who is on this fight card then 1. Gath the Problem Galea.